For a rejuvenated, fresh and rested look. The appearance of dark circles or puffiness is mainly due to poor blood circulation and dysregulation of lymphatic tissues. The epidermis is up to 4 times thinner under the eyes than on the rest of the body, this is the reason why dark circles with a blue color appear on this area. By combining a thermal and vibrating action, the HQ Eye Regenerator will act on these targeted problems. Signs of tiredness and fine lines are visibly reduced. With its warm thermal action, the HQ eye regenerator stimulates the microcirculation and thus eliminates the accumulation of pigments at the origin of the dark circles. In addition, the pores open, then HQ skincare applied will penetrate your skin and act more effectively. 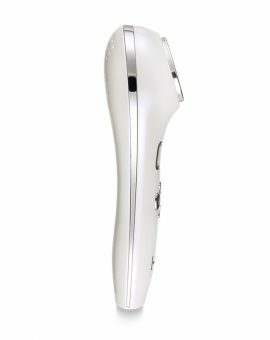 The vibrating action combined with the massage stimulate the production of collagen and dislodge the greasy pockets. Fine lines and crow’s feet are reduced. 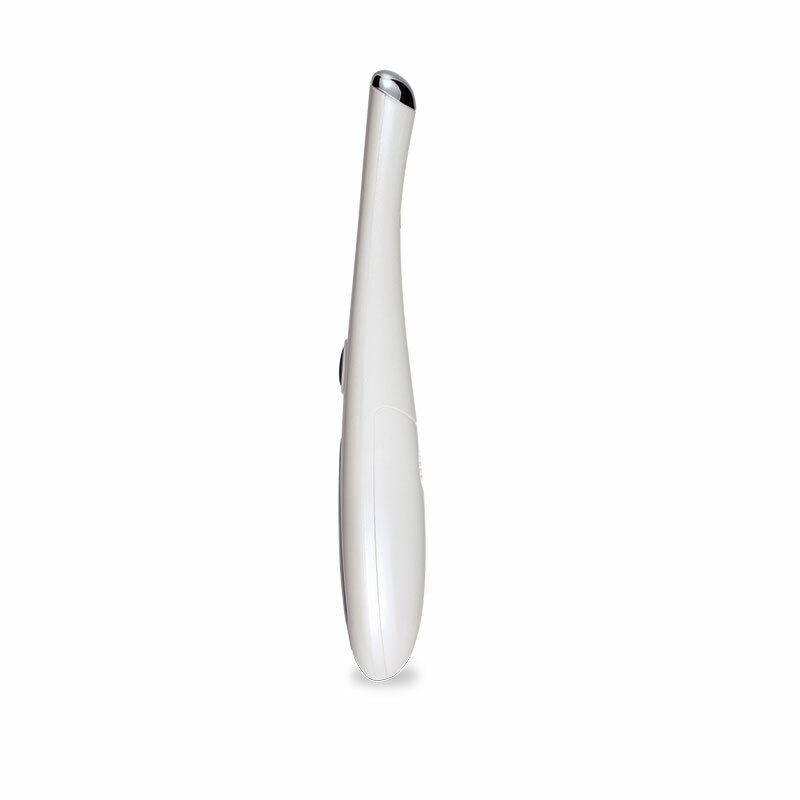 The cold action of the Eye Regenerator helps to tighten the pores. Your skin is firmer and toned. Step 1 : Cleanse the skin and apply the HQ skincare under the puffiness / dark circlesStep 2 : Press the button ON/OFF.The red led lights up and the vibrations are triggered immediately.To lower the temperature , press the “ON / OFF” button for 2 seconds. The light is green now.To get back to a temperature of 42 ° C, press the same button again for 2 seconds.Step 3 : Slide the device under the eyes in order to absorb the care.Step 4 : Once the skincare is absorbed, press the ON / OFF button. 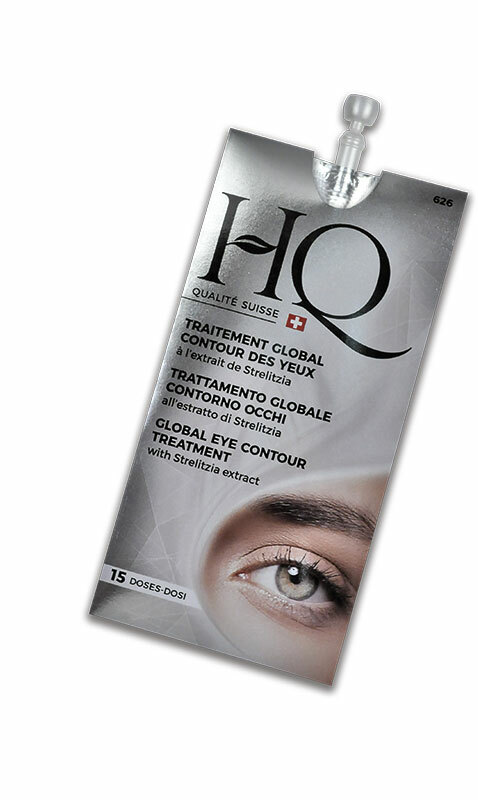 GLOBAL EYE CONTOUR TREATMENTThe formula is especially made for an action centered on the eye contour area. Strelitzia extract works on dark circles and puffiness. Padina Pavonica seaweed and cassava biopolymers reduce the appearance of wrinkles. Rose water, shea butter and allantoin soothe and decongest the area.D-Panthenol and orange extract have a moisturizing action. Finally, vitamin E and grapefruit oil restructure and tone the area.A real elixir of youth for the eyes!